Our paper on crowdsourced image geolocation and diagramming won the Notable Paper Award at HCOMP 2017. Congrats to Crowd Lab alums Rachel Kohler and John Purviance, co-authors of the paper, for this recognition. 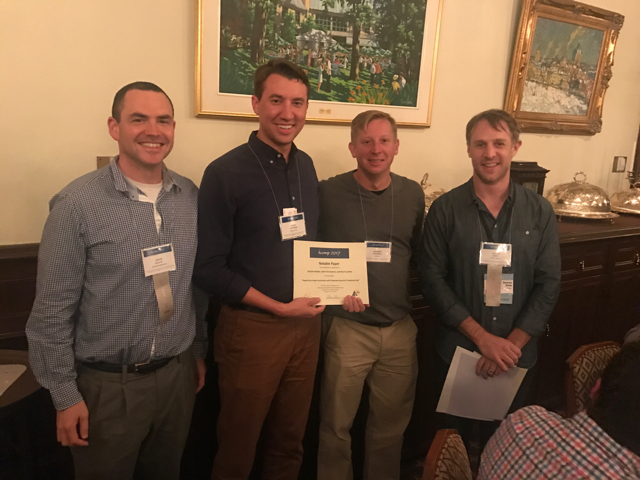 In the photo above, Dr. Luther receives the award certificate on behalf of his co-authors from Adam Kalai and Steven Dow (HCOMP 2017 co-chairs) and Jeff Nichols (Awards committee). You can read the award-winning paper, Supporting Image Geolocation with Diagramming and Crowdsourcing, in the online proceedings. Dr. Luther, along with Danna Gurari (UT Austin), Genevieve Patterson (Brown University and Microsoft Research New England), and Steve Branson (Caltch), co-organized the second GroupSight Workshop on Human Computation for Image and Video Analysis at HCOMP 2017. 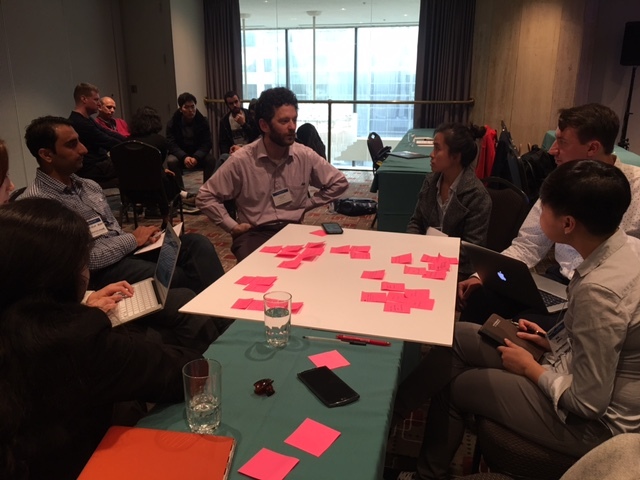 The workshop featured two keynote speakers, Meredith Ringel Morris (Microsoft Research) and Walter Lasecki (University of Michigan), along with seven paper presentations, a poster session, break-out groups, and a sponsored lunch. At the conclusion of the workshop, Dr. Luther handed out the Best Paper and Best Paper Runner-Up awards. For more details, check out the Follow the Crowd blog post written by Dr. Luther. There will also be a short write-up in AI Magazine. Our work on GraphSpace, an online hub where scientists can share network data, was published in Bioinformatics journal. The title of the article is, GraphSpace: stimulating interdisciplinary collaborations in network biology. The authors include Dr. Luther, his collaborator Dr. T.M. Murali, and Crowd Lab alum Divit Singh. Networks have become ubiquitous in systems biology. Visualization is a crucial component in their analysis. However, collaborations within research teams in network biology are hampered by software systems that are either specific to a computational algorithm, create visualizations that are not biologically meaningful, or have limited features for sharing networks and visualizations. 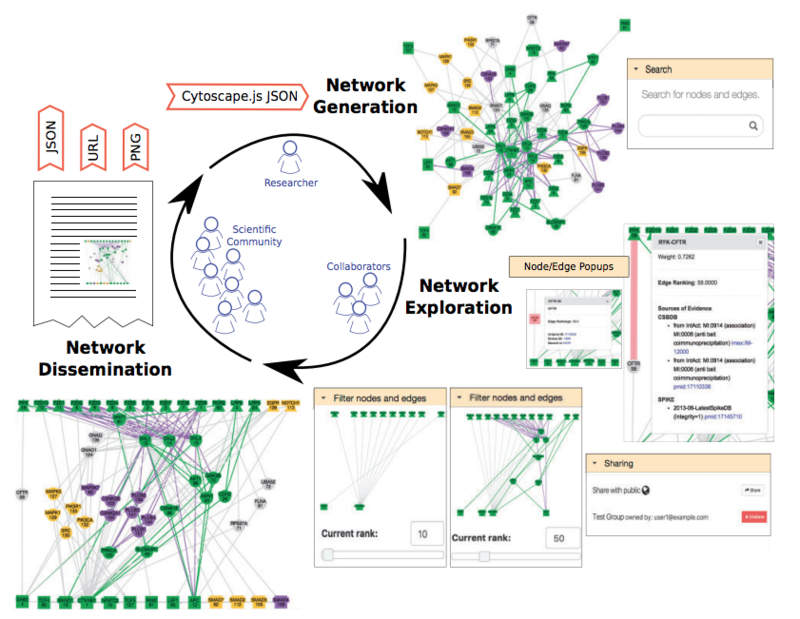 We present GraphSpace, a web-based platform that fosters team science by allowing collaborating research groups to easily store, interact with, layout and share networks. This work was partly funded by our NIH Big Data to Knowledge grant.